Racing to open the 2018 New York International Automobile Show: Panasonic Jaguar Formula E race car. NEW YORK, March 30, 2018 /PRNewswire/ -- Comedian Tracy Morgan and racing driver Nelson Piquet Jr. will lead an electric vehicle parade to officially open the 118th New York International Automobile Show on Saturday morning. A fully-electric Formula E racing car will lead a fleet of electric vehicles along 11th Ave. to the Jacob K. Javits Convention Center on the west side of New York. 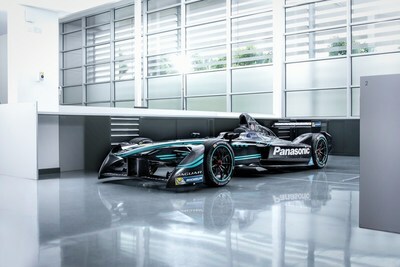 Formula E season one champion and Panasonic Jaguar Racing driver Nelson Piquet Jr. will be behind the wheel, marking the first time the official championship car has run on the streets of Manhattan. Comedian and actor Tracy Morgan will drive the Porsche 919 Hybrid that won the famed 24 Hours of Le Mans three times in a row as well as the World Endurance Championship LMP1 titles between 2015 and 2018. "To be the first to drive the Formula E car on the streets in New York is going to be a lot of fun. I love this city, and I'm looking forward to the opportunity to promote electric vehicles," said Nelson Piquet Jr.